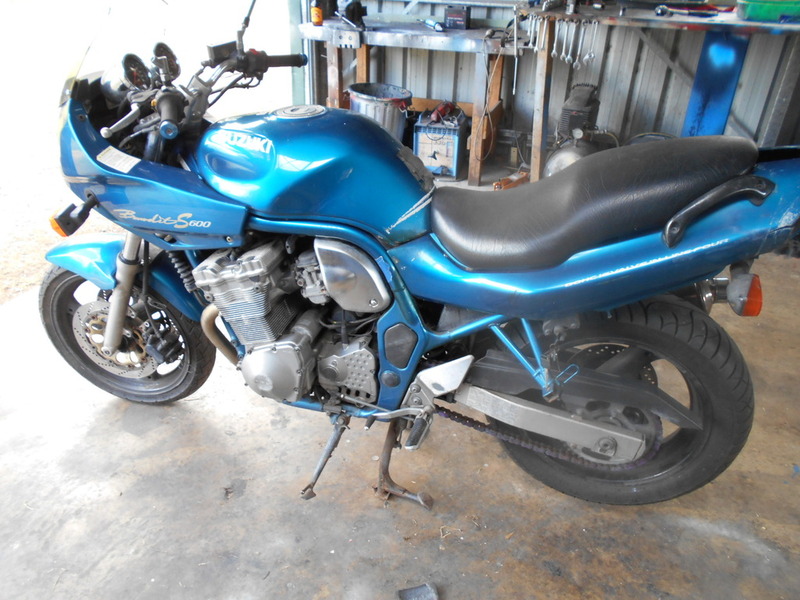 $400 for a good looking Bandit 600 . How could I go wrong . After I got it home this is what I found . Re: $400 and looks GOOD. With a P plate under the seat and a purple chain the warning bells were ringing .They should have made me deaf . NO air box lid or filter . Seems a little damp inside . That looks very bent . A Bandit takes 3300ml of oil . It seems 5lts will fit in so it must be better ,right . Throttle cable seems stuck . Stop laughing ,no , keep going. Piston welded solid in bore . 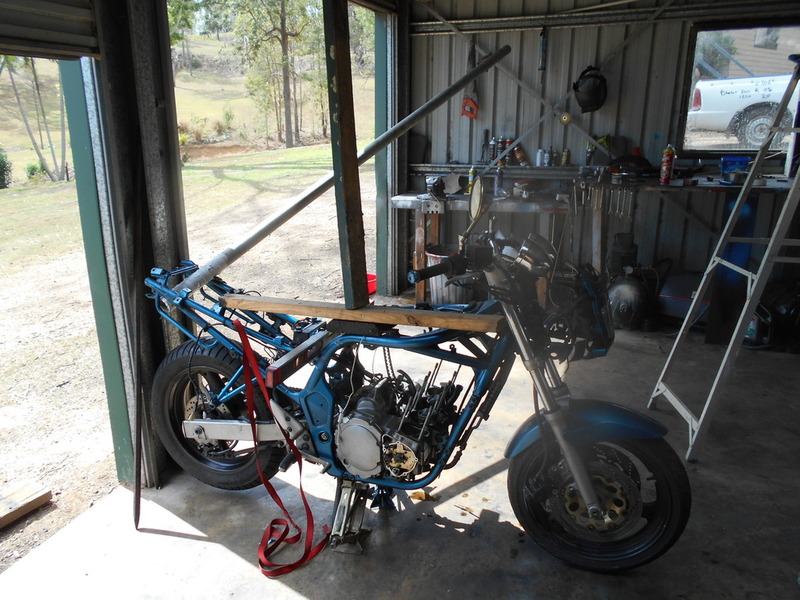 Straightening jig (pat .5671) fixes the bent subframe . I find a set of barrels WITH pistons (and rings ) in Spain for $60 and $60 freight . Arrives in 6 Days .I only need one piston so have 3 spare . 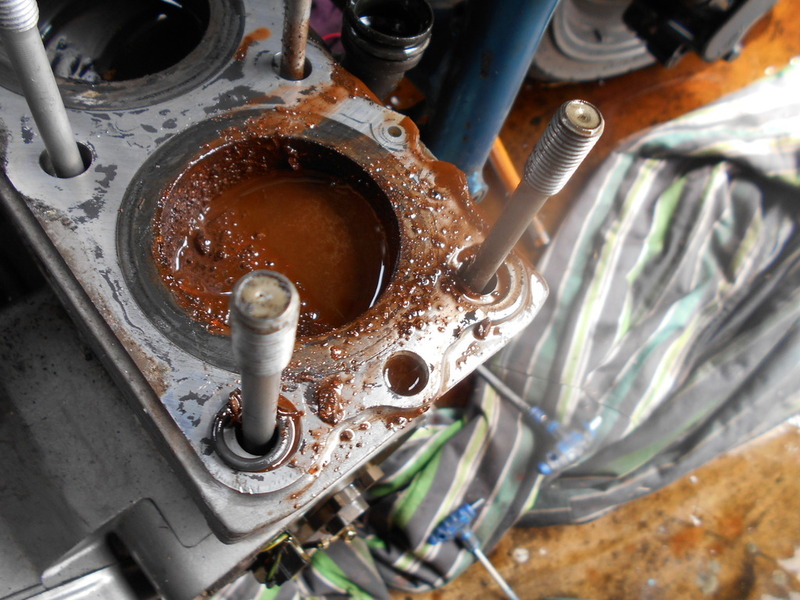 Head cleans up fine with a little lap of valves on stuffed cylinder . Other 3 look good . 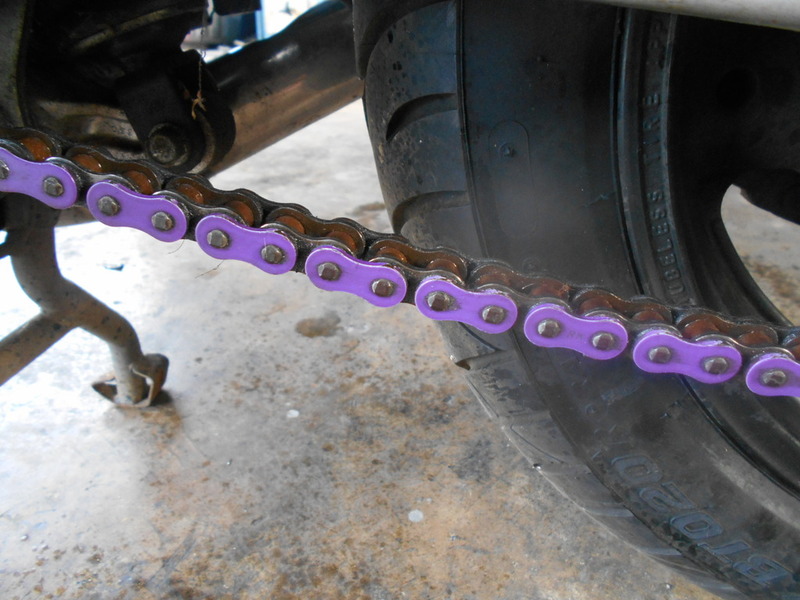 Use old gaskets as they are alloy . I have done this before and never had a problem . 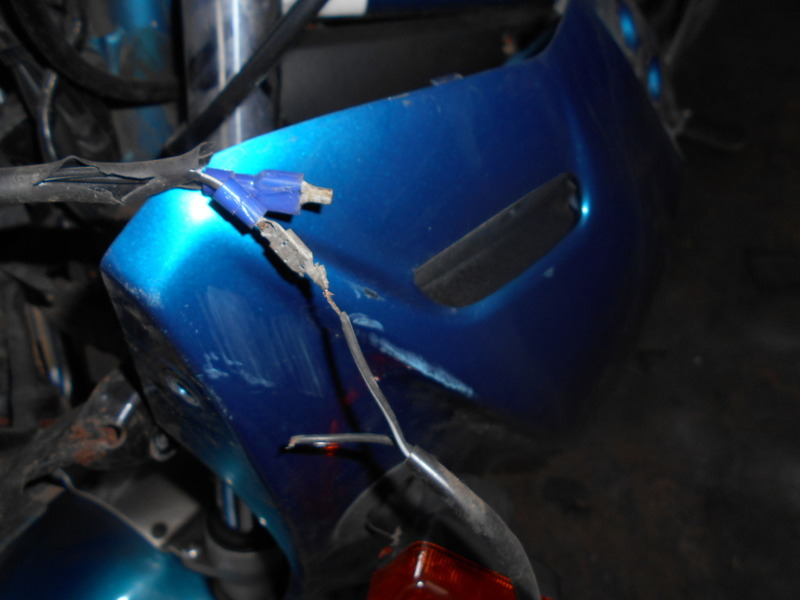 Only blinker wiring bad rest like new . 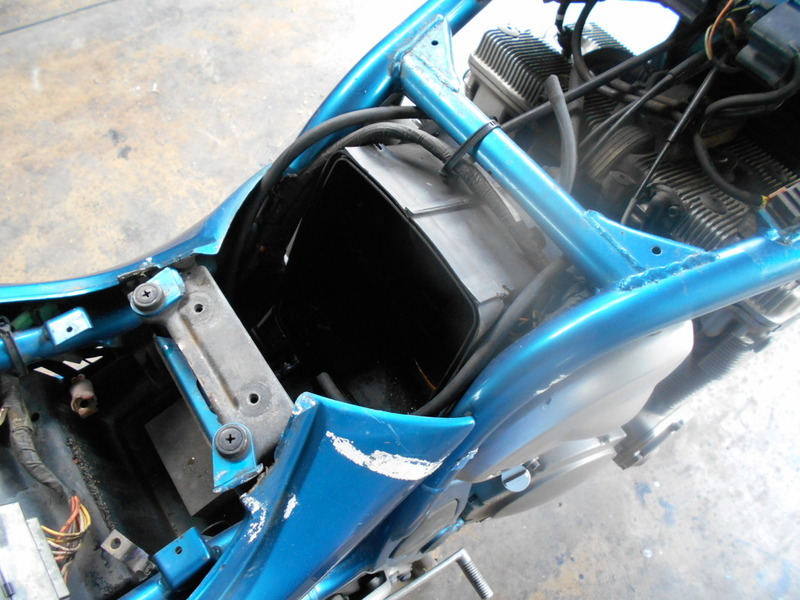 I borrow the carbs from Carols 600 (awaiting seats ) and fit it all together . Hook up car battery and engine spins over . Takes a bit of coaching but finally fires up ,with a cough and a splutter . Carol gets her carbs back and I wait till Monday for some new needles . I better say this is just going to be a run around bike . If it uses oil ,I don't care . I didn't hone barrels , measure pistons or rings .or any thing like that . Its a $400 hack . 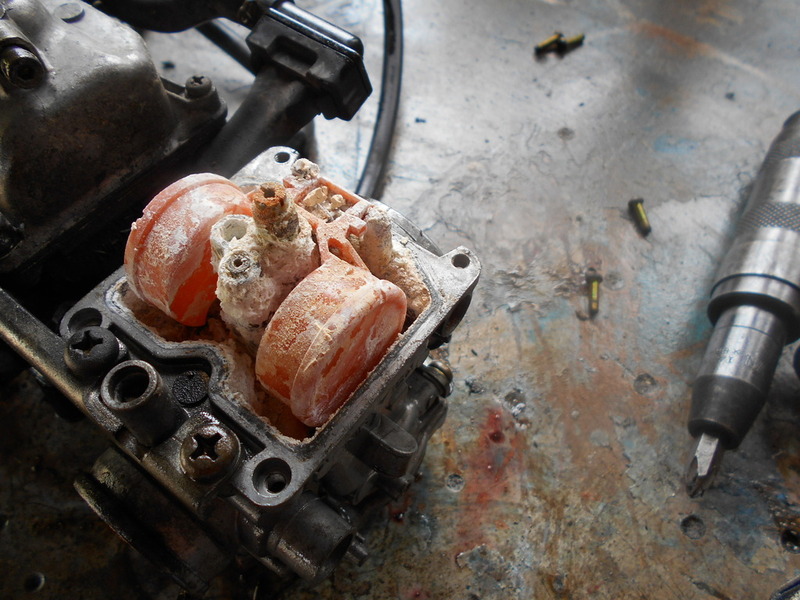 The p plater must have thought the air box needed washing out wtf were they thinking? 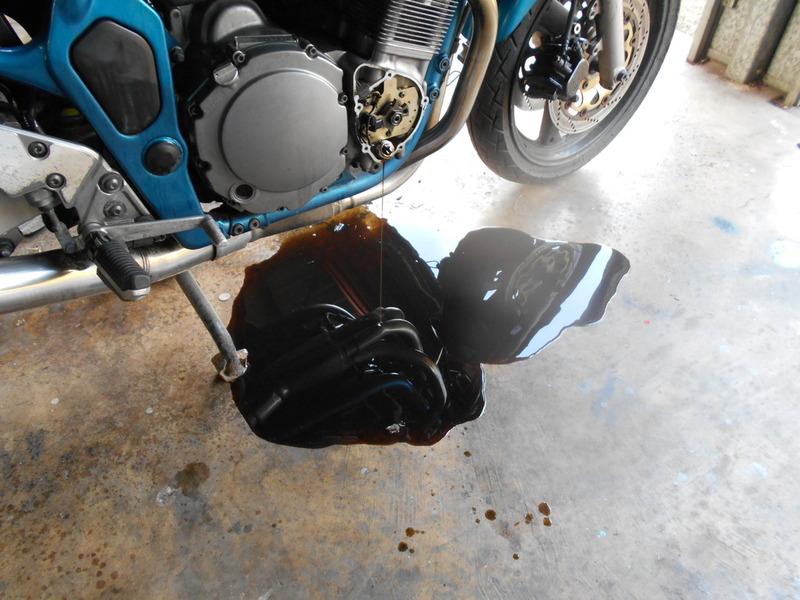 Had it been for a swim or was the water just in through the air box (rain/hose) ? 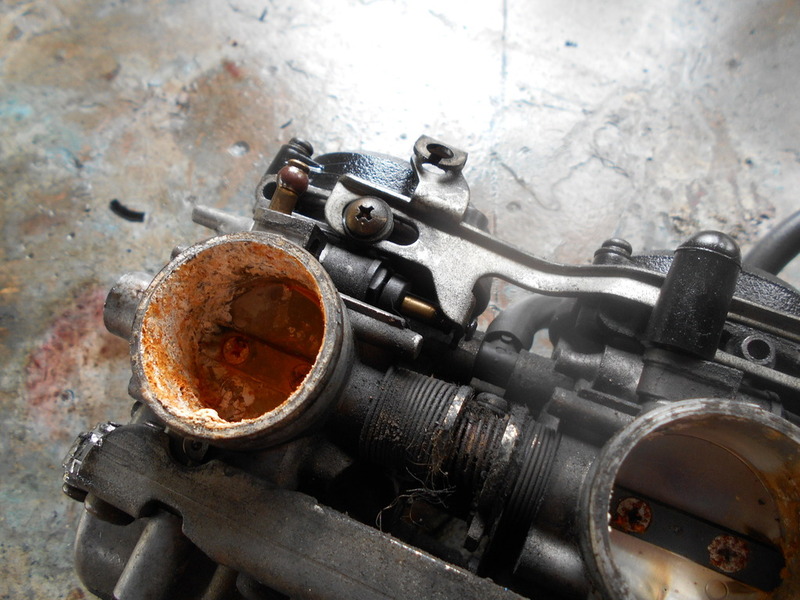 Will that piston not free up with some WD-40? 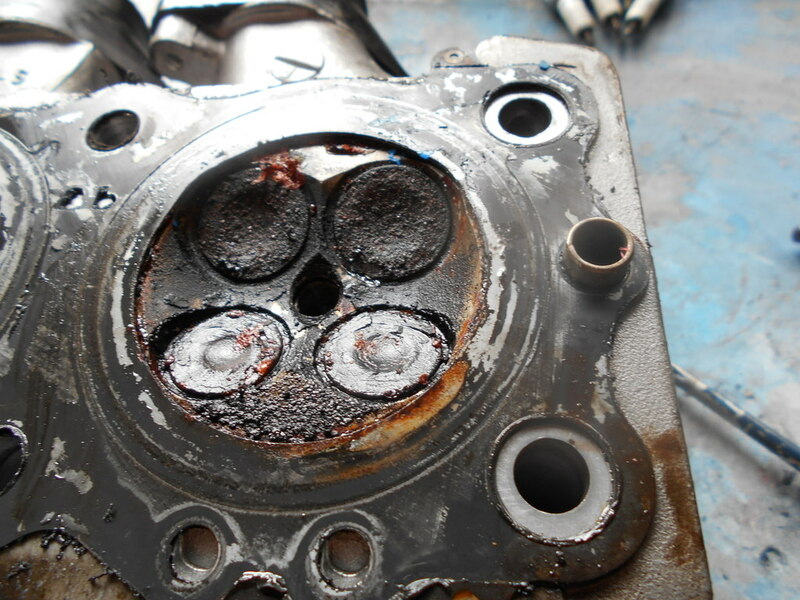 number 4 piston was affected . I guess it had been outside for a while . 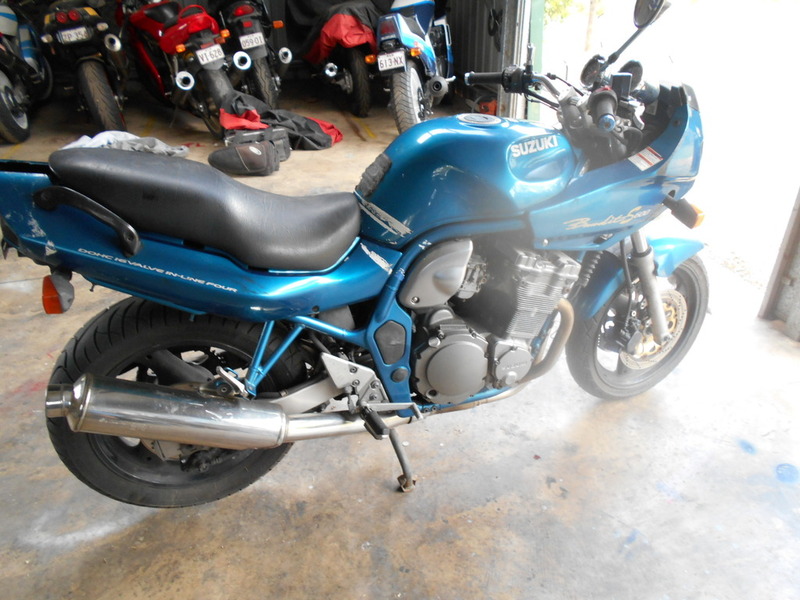 This is the second Bandit 600 I have bought with no air filter. Must be a market in second hand k@n;s .
Was the previous owner under 21 years old? Gus, did you write on the side of your ute or the window of your shed? 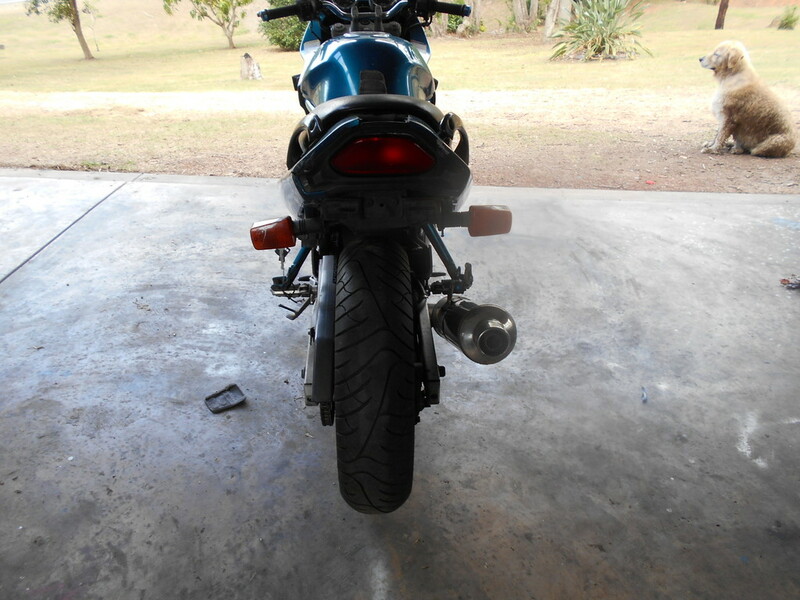 You've been busy Gus - I still think you should open a motorbike mechanic workshop. Just a thought... if your going to continue doing a few bikes, albeit for fun or extra kitty, why don`t you consider buying an ultrasonic cleaner??? Good thing for carbs!!!! .....obviously totally stripped though. People love tringkits and shinny things, and a set of gleaming carbs looks a treat, upon sale. Cutting down on bikes . The Yammie's gone touring ,the 3 TLs's have been sold , the Ducati nearly went , the 1200 Bandit may have to go also . Fit the carbs attach a big car battery and she fires up with a strange "TICK" coming from headers .Take them off and notice 2 and 3 are further out than the others . 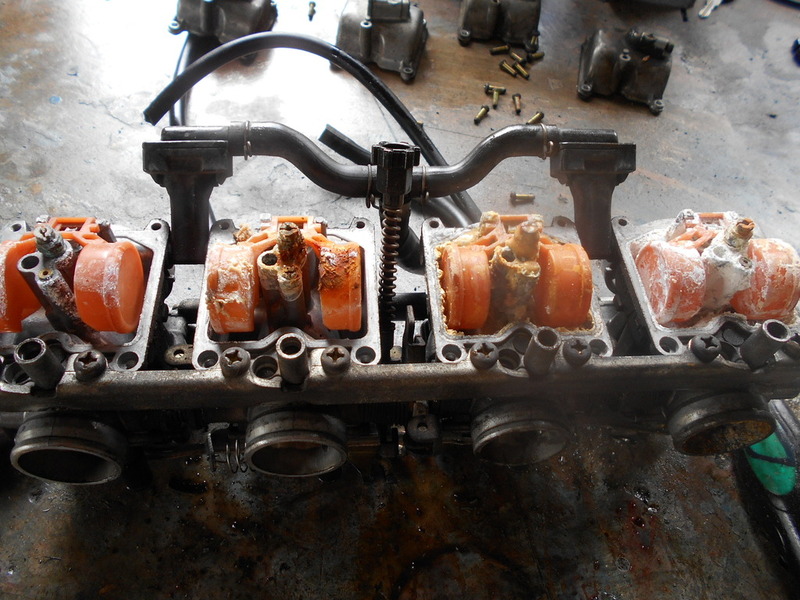 Add an extra gasket to 2 and 3 and it seals . No more noise . Rob an airfilter from another bike because the one I ordered was too small . Cheap but doesn't fit . Tomorrow I see how many gears I have . 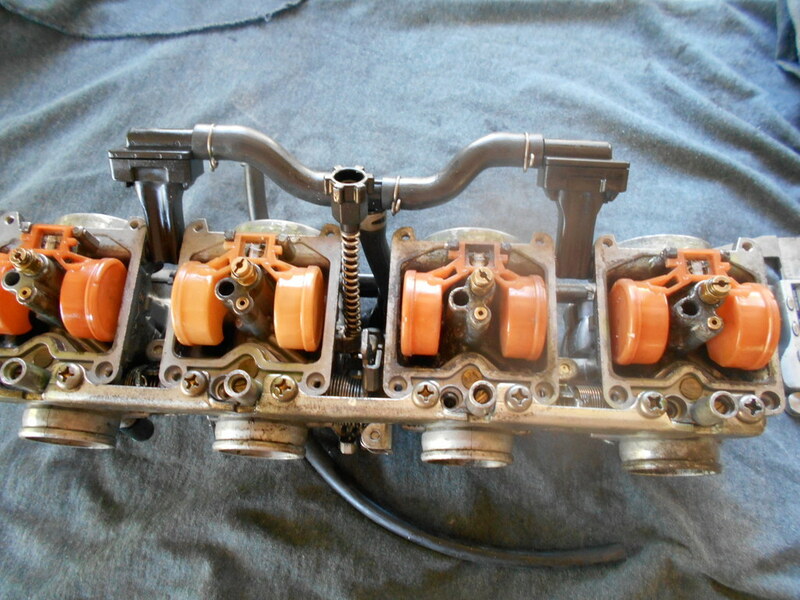 @gus wrote: Fit the carbs attach a big car battery and she fires up with a strange "TICK" coming from headers .Take them off and notice 2 and 3 are further out than the others .